Keeping your mouth healthy is a vital part of our daily lives. It’s crucial to keep up with your dental care and form good dental habits to avoid painful issues in the future. A periodontist is a special type of dentist that specializes in everything to do with your gums. Periodontal disease is a serious gum problem that a periodontist can help you deal with. It’s a disease that infects the structures around the teeth like gums and the bones in your mouth. The earliest stage is gingivitis and, if it goes untreated, periodontal disease can cause serious problems. 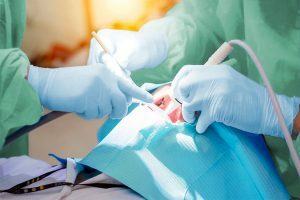 A periodontist in Fairfield County, CT, can help you with tips on prevention and treatment for this serious dental issue. A periodontist usually offers a wide range of treatments for people suffering from the ailment. Things like root planing and scaling are common tasks that periodontists can help with. They also can treat patients who are dealing with severe gum problems, typically, by using surgical procedures. A good periodontist also can help with dental implants. Normally, a periodontist will take a look at a patient’s dental history and examine their gums during the first time they see their patient. It’s very similar to a normal visit to the dentist. X-rays are also a way for periodontists to take a look at how healthy the bone below the gum line is. Periodontists have gone to dental school and must receive 3 years of specialized training after they finish school. They learn how to diagnose periodontal disease, add implants, perform gum or jaw surgery, and even treat cancerous gums. You should consider seeing a periodontist if you notice any of the classic signs of gum recession. If your gums are more sensitive than normal or you notice that they start bleeding, you should see a periodontist in Fairfield County, CT. If you are seeking help with gum recession in Fairfield County, CT, Periodontics & Implant Dentistry Center, LLC is the best choice. If gum recession or gum disease goes untreated, it can cause you to lose teeth. You might even need surgery at some point if you don’t take care of your symptoms of gum disease. It’s better to be safe than sorry. Visit a gum disease dentist in Stamford, CT, if you have any doubts about the health of your gums and would like to know more.